Soccer great Mia Hamm will visit the W&L campus on Feb. 1. LEXINGTON, Va. – Washington and Lee University has announced that several organizations on campus will be holding activities the week of January 28 – February 3 to celebrate the 45th anniversary of Title IX. The goals of the week are to mark and celebrate the anniversary of Title IX, but also to educate students and members of the community on the history of Title IX. The university’s goal is to begin a dialogue and empower students and community members to be vigilant in the defense and protection of these rights in the future. The week’s activities will kick off with a viewing of the recent movie “Battle of the Sexes” starring Emma Stone and Steve Carrell, and concludes with a discussion featuring former soccer great Mia Hamm. “Battle of the Sexes,” a profile of the famous tennis match between Billy Jean King and Bobby Riggs, is co-sponsored by the university’s Office of Student Affairs and the Women’s, Gender, and Sexuality Studies Program (WGGS). The film screening will be held in the Stackhouse Theater on Sunday, Jan. 28 at 6 p.m. The Women’s Sports Foundation offers a free discussion guide regarding the film, which can be downloaded on the organization’s website. On Tuesday, Jan. 30 at 4:30 p.m in the Hillel House on campus, WGGS will sponsor a poetry reading and subsequent discussion by Ellen Mayock and Stacey Vargas. Mayock is a professor of Romance Languages and serves as the W&L Faculty Athletics Representative. Vargas is a professor of Physics and Astronomy at neighboring VMI. Later Tuesday evening, the Washington and Lee women’s basketball team will host Randolph College in the Warner Center at 7 p.m. The game will represent National Girls & Women in Sports Day, an annual celebration that observes the extraordinary achievements of women and girls in sports. All women in attendance at the game will receive free pizza and beverages, while the university recognizes the accomplishments of its women’s athletics programs and individual athletes. A second film will be screened in Stackhouse Theater on Wednesday, Jan. 31 at 7:30 p.m. “A Sporting Chance” is a 45-minute documentary film about the groundbreaking passage of Title IX in 1972 and explores how this law has increased educational opportunities and athletic participation for American women on college campuses for the past 40 years. The film will be followed by a discussion panel consisting of Hathorn, W&L professor of philosophy and law Melina Bell, and Lauren Kozak, W&L assistant director of career development and Title IX coordinator. 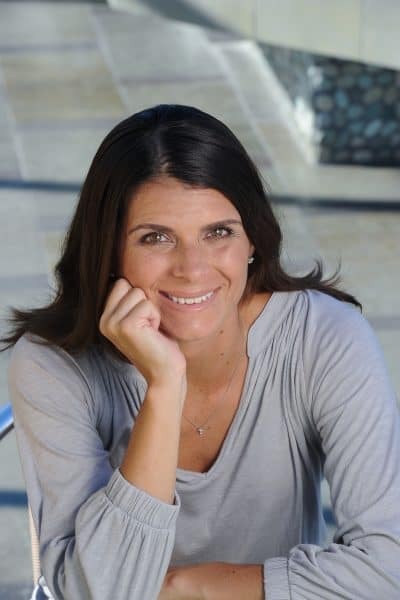 The final event, an evening discussion with two-time Olympic Gold Medalist and two-time World Cup Champion Mia Hamm, will take place on Thursday, Feb. 1 in Evans Dining Hall beginning at 7 p.m. The discussion is sponsored by the university’s Contact Committee, whose mission is to enhance the education received by all students at Washington and Lee by providing opportunities for students to interact with the most prolific persons of contemporary times. Hamm is considered one of the greatest women’s soccer players of all time and is also regarded as one of the most marketable female athletes of her generation.